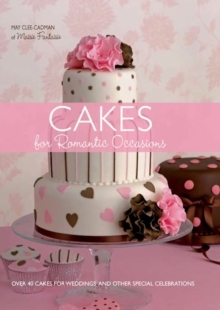 Create over 40 simple yet incredibly stylish cakes for every occasion, from weddings and anniversaries, to birthdays, christenings and Christmas. 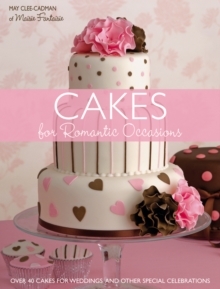 Discover a variety of irresistible cake designs in all colors, shapes and sizes. This title includes a wide selection of sweet cupcakes and gorgeous minicakes to make when time is short.Explore a wide variety of quick and easy sugarcrafting techniques. 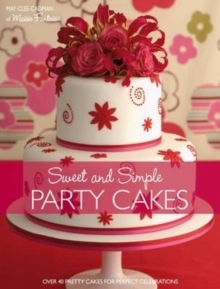 Beginner and intermediate sugarcrafters will complete the projects with ease, while discovering professional sugarcrafting tricks.Easy-to-follow step-by-step instructions, simple recipes, and beautiful photography ensure mouthwatering results. Clever packaging ideas are also included to make your cakes look even more desirable.